Should ServiceMesh Have Been Bought by Somebody Cooler? Shouldn’t ServiceMesh Have Been Bought by Somebody Cooler? I recently talked to someone who was convinced ServiceMesh should have been acquired by Cisco. This was a few weeks after ServiceMesh ended up in the hands of Computer Sciences Corp. (CSC), a deal announced Oct. 30. The topic came up during a discussion about the fact that the network’s future is all wrapped up in policy, and that Cisco recognizes this. Policy is going to determine how traffic gets treated and where virtual machines are placed or moved. That Cisco should acquire a policy-enforcement technology — such as the stuff ServiceMesh does in its cloud management software — would make sense. Instead, ServiceMesh was bought by a company that’s respectable but sounds so unhip. A name like Computer Sciences Corp. is the product of a time when companies were expected to be functional and beige (sometimes blue). Imagine if Angry Birds came from Application Software Inc., or if eBay were named Commerce & Transactions Co. If policy enforcement is so hot … if it’s so crucial to that 21st-century world of software-defined networking (SDN) … if it’s going to be sought after by big companies like Cisco and hot startup types too … shouldn’t ServiceMesh have ended up in the hands of somebody, well — cool? I asked Eric Pulier, ServiceMesh’s chairman and CEO, about this shortly after the acquisition. He said CSC has an agenda that goes beyond paperwork and short-sleeved dress shirts. 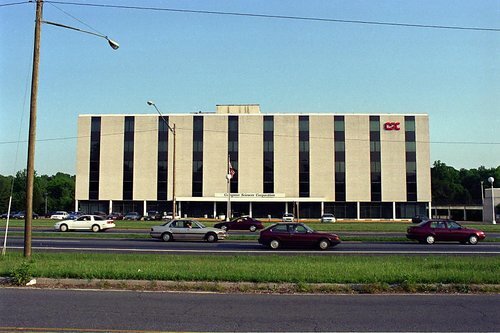 Founded in 1959, CSC serves government agencies and large companies, as you might expect, and its business has included things that nowadays get referred to as infrastructure-as-a-service and software-as-a-service (IaaS and SaaS). But now the company is remaking itself, trying to avoid commoditization by becoming an all-out cloud services provider and getting into areas such as big data. Far from being an obscure cog in an 81,000-employee machine, ServiceMesh will help lead that charge, Pulier claims. He’ll be running CSC’s cloud group — and that group reports directly to CSC’s CEO, Mike Lawrie. CSC’s push into the cloud reflects the overall acceptance of the cloud as part of normal IT life. Resistance has softened as “IT organizations realized the cloud is not a threat,” Pulier says. Part of that shift came from the shove of shadow IT — employees using Amazon Web Services without authorization. This got the attention of some CEOs, because for companies operating in highly regulated environments, shadow IT could make compliance errors that could lead to fines or even jail time. A more authorized cloud became an edict, and “that gave IT a long-term role as a service broker,” Pulier says. Thus, CSC is remaking itself in the role of a cloud provider that a government-type agency can trust — an alternative to the likes of Google or HP (which both launched public-cloud services to general availability this week) or Amazon or Microsoft. As you might imagine, certain customers consider CSC’s size to be crucial. Or, put it this way: These entities might want newfangled, cloud-based services, but they’d prefer to get them from a company with some permanence. “You have to have somebody who’s a multibillion-dollar company who’s going to be here. CSC isn’t going to get acquired by one of the companies we’re brokering against,” Pulier says. So, while there might not be much Silicon Valley glamor to being a part of CSC, ServiceMesh has a chance to help build a major cloud player. That sounds cool enough.